My story about Harry, the very hungry hairy frogfish, is in the May 2019 issue of Ranger Rick magazine, published by the National Wildlife Federation. It is a story from an experience I had when I spent much of my time diving in muck. The sequence of events is real, including the amusing end. It is also a terrific example of the incredible things you can see and learn by observing patiently, letting animals go about their business without interfering or interrupting behavior. If you have kids, please share this story with them. Consider subscribing to Ranger Rick too! The following photo of a flower hat jellyfish (Olindias formosus) features in a recent article posted on Biographic. I took this photo in May 2017 because the jellyfish’s pink and lime-green speckles were pretty. As it turns out, research published in 2015 demonstrates that this cnidarian uses fluorescence to attract prey, meaning that it’s colourful decorations are for more than show. Click here to read the feature on Biographic, and here to read the research paper. The lead photo is one of mine. The whale in the photo wasn't singing, even though much of the article discusses whale song. In short, despite who knows how many combined hours of observation, recording and thinking about whale song, we basically don’t know what’s going on. For anyone who spends enough time in nature, this will come as no surprise. It’s easy to get the mis-impression from watching documentaries and such that we know a lot. While we’ve definitely made lots of progress and continue to do so in terms of our knowledge of the world around us, it’s good to keep proper perspective. We’ve got a lot to learn! I have just added a new gallery of fine art prints featuring sperm whales (Physeter macrocephalus). Please take a look! Lifehacker just posted an interview I did with the site a couple of days ago: https://lifehacker.com/im-tony-wu-underwater-photographer-and-this-is-how-i-1830982729 for their How I Travel series. I have just put up a new website dedicated to showcasing fine art prints. I am featuring 27 images of humpback whales to begin with, and will add more images over time. Click through to take a look and take advantage of special holiday prices and discounts! This portrait of a mature male Asian sheepshead wrasse (Semicossyphus reticulatus) that I took last year will receive recognition (Highly Commended, Animal Portraits category) at the upcoming 54th Wildlife Photographer of the Year (#WPY54) awards ceremony at the Natural History Museum, London on 16 October. If you’re in London or planning to visit soon, definitely go see the exhibit, which starts on 17 October! My first major project in Japanese kicked off in late June. I am writing an online column about my experiences with marine life, including anecdotes, fun facts, and discussion of conservation issues. The August 2018 issue of Practical Photography includes an 8-page interview with me (pp. 110-117) with a bunch of photos and lots of rambling. 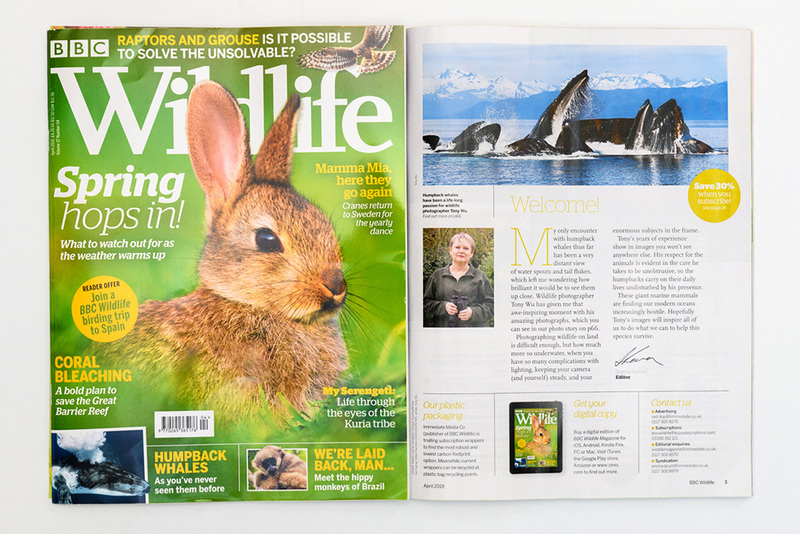 The June-August 2018 issue of Signals magazine, published by the Australian National Maritime Museum, features an interview with me and two other category winners of the 2017 Wildlife Photographer of the Year contest (#wpy53). Written by Paul Teasdale of the Natural History Museum London, the article includes interviews with and underwater photos taken by Laurent Ballesta, Michel Roggo and me. Please click here if you'd like to download a PDF copy. The Natural History Museum in London has recently released a collection of underwater photographs, "specially selected for this unique book from the hundred of thousands of images received (for the Wildlife Photographer of the Year contest) over the last 50 years." Two of my photos are included in this portfolio. I have an interview and portfolio of images in the Spring 2018 issue of DAN’s Alert Diver magazine, which should be reaching subscribers soon. Please click here if you want to see an online preview of the magazine. Please click here if you'd like download a PDF of my interview. 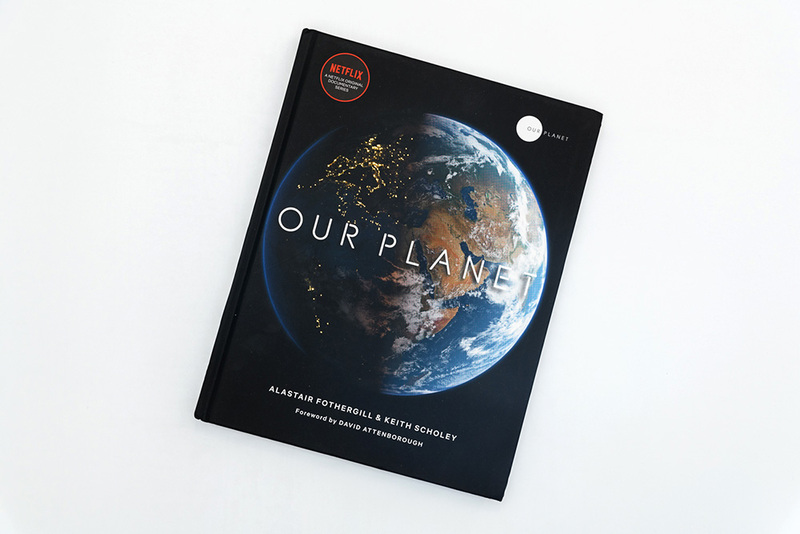 Spearheaded by Britta Jaschinski and Keith Wilson, the Photographers Against Wildlife Crime project has just published a book featuring images and stories from 24 photographers, who are all united in the goal of reducing and hopefully eliminating the awful things we do to animals. The book will be translated into Mandarin, so that readers of Chinese can have the opportunity to learn about and understand some of the grave issues facing the world's remaining wildlife. Please considering purchasing a copy to support this effort. 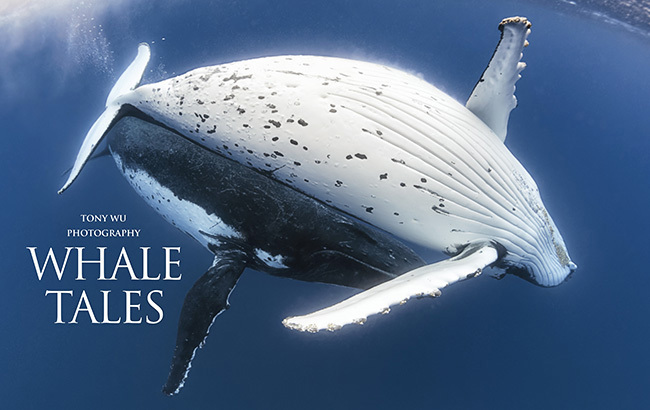 Biographic.com featured one of my photographs of humpback whales engaged in courtship for Valentine's Day. Click to view article. I've prepared a new image available for purchase as a fine art print, starting at US$35 for an 8 x 10. Click here to purchase. For all purchases of cetacean-themed prints, I will donate 10% of the purchase price to Oceanswell, an organisation dedicated to protecting marine mammals and marine environments in Sri Lanka, a place where I have spent a lot of time. Ship strikes are a major issue cetaceans face there, and increasingly so is harassment from tourists in speedboats.